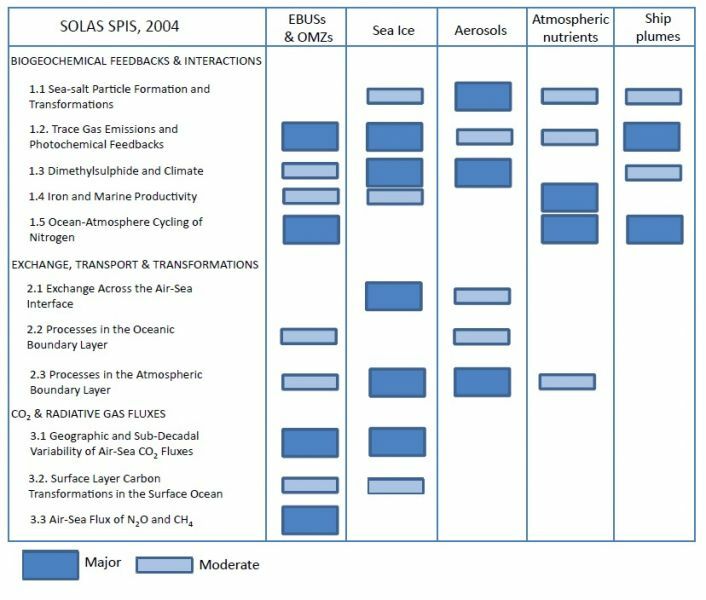 Below figures were published in the article `Evolving Research Directions in Surface Ocean-Lower Atmosphere (SOLAS) Science` by Cliff Law et al. in Environmental Chemistry 2013, 10, 1-16. Please refer to the article for further explanations regarding the figures. Click on the image to see a larger version or click on the figure description to open as a pdf file. 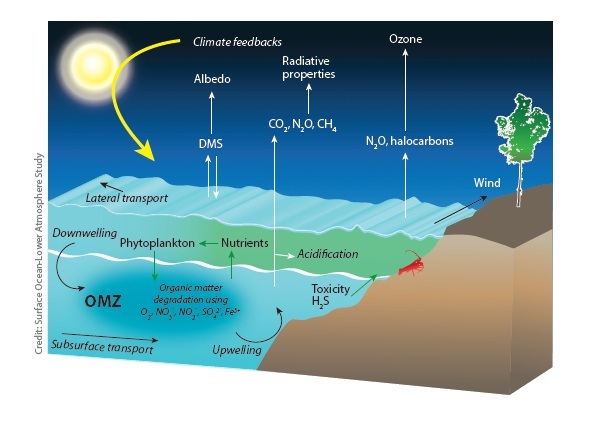 If using these figures we ask you to clearly state their origin as: `Evolving Research Directions in Surface Ocean-Lower Atmosphere (SOLAS) Science` by Cliff Law et al. in Environmental Chemistry 2013, 10, 1-16. Below figures were published in the SOLAS 2015-2025 Science Plan and Organisation. Please refer to the Science Plan for further explanations regarding the figures. Click on the image to see a larger version or click on the figure description to open as a pdf file. If using these figures we ask you to clearly state their origin as: Brévière, E. and the SOLAS Scientific Steering Committee (eds.) (2016): SOLAS 2015-2025: Science Plan and Organisation. SOLAS International Project Office, GEOMAR Helmholtz Centre for Ocean Research Kiel, Kiel, 76 pp. Conceptual diagram illustrating the interactions among the five SOLAS Core Themes. 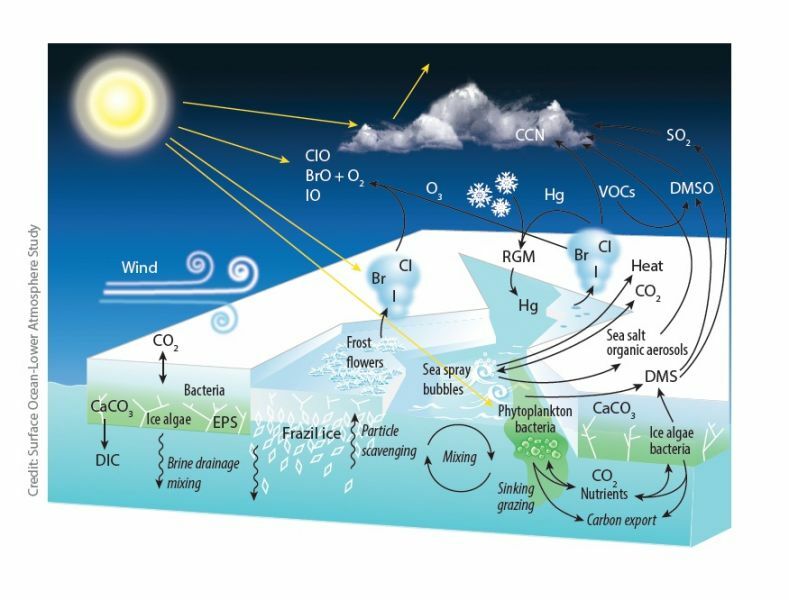 Conceptual diagram illustrating the processes and impacts/stressors associated with long-lived greenhouse gases. 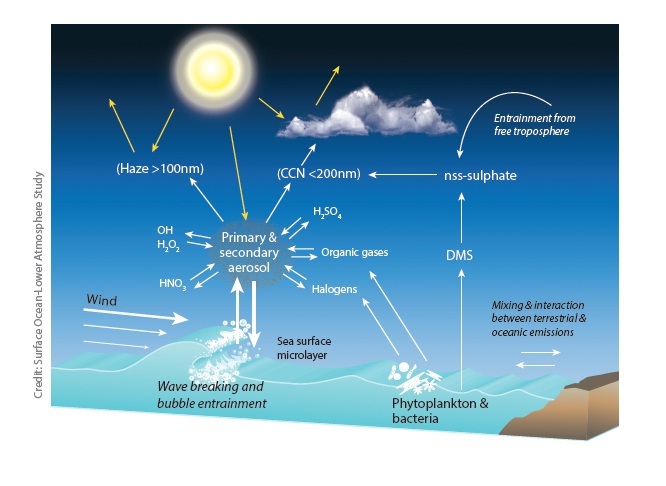 Conceptual diagram illustrating the dominant processes controlling air-sea fluxes of mass and energy in the open ocean. 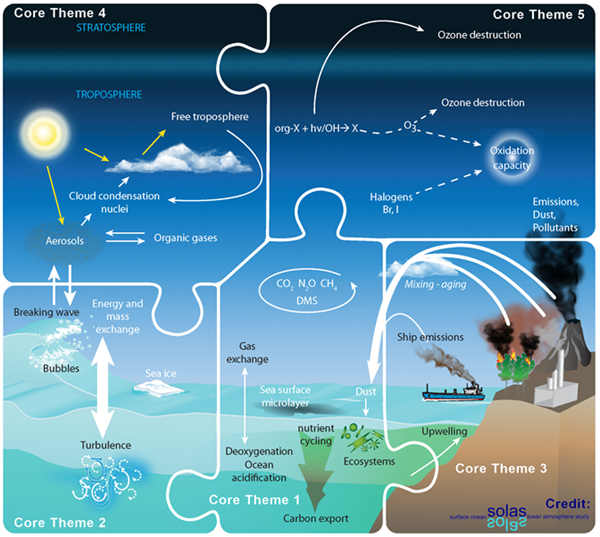 Conceptual diagram illustrating the main issues, processes, and species relating to Core Theme 3. 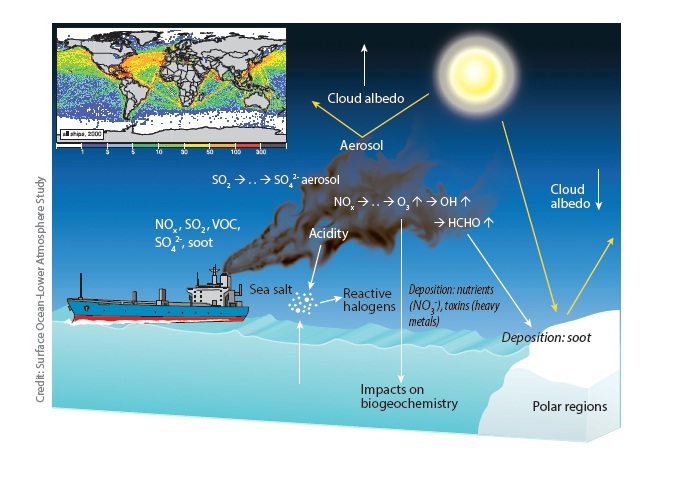 Conceptual diagram illustrating the ocean sources of atmospheric primary and secondary aerosol and subsequent atmospheric processing. 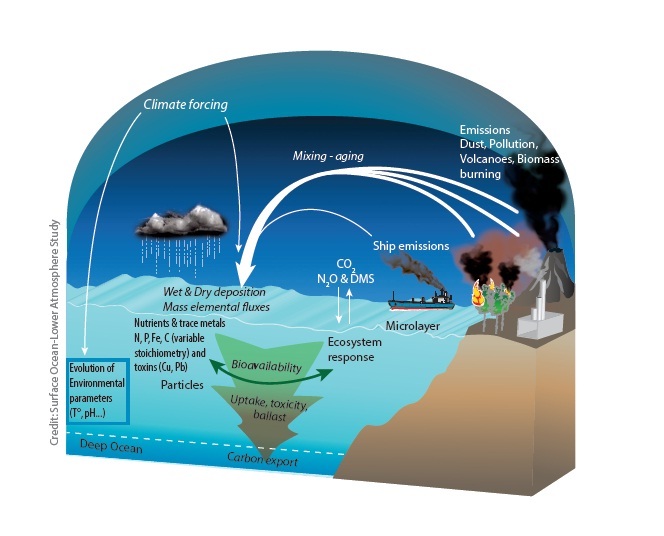 Conceptual diagram illustrating the simplified schematic depiction of the most important couplings between ocean biogeochemical cycles and atmospheric chemistry.